El Coletivo 97 presenta por primera vez en Edmonton, la obra de Luis Advis Canto Para una Semilla. De lo humano y lo divino, un canto para Violeta Parra. 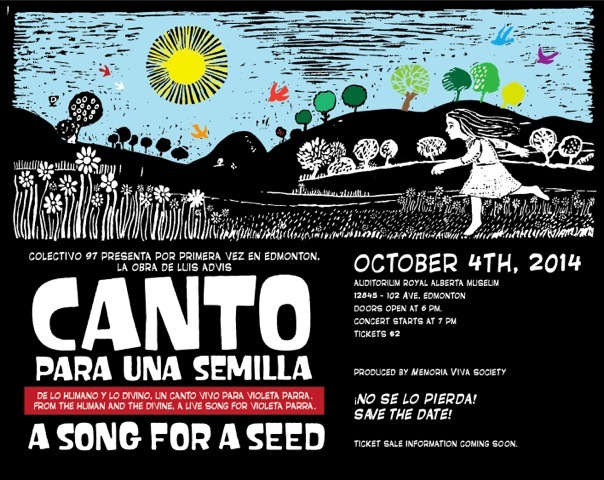 The Colectivo 97 presents for the first time in Edmonton, the work of Luis Advis, A Song for a Seed. From the human to the divine, a song for Violeta Parra. Ticket sale information coming soon.